This is a new, surplus momentary switch. 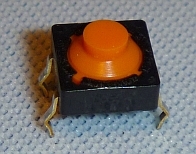 It is a PCB vertical mount switch. The switch dimensions are 7.8mm x 7.8mm x 5mm. 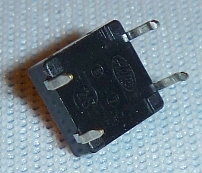 This switch fits onto PCBs and solderless bread boards with a 0.1" (2.54mm) hole pitch.